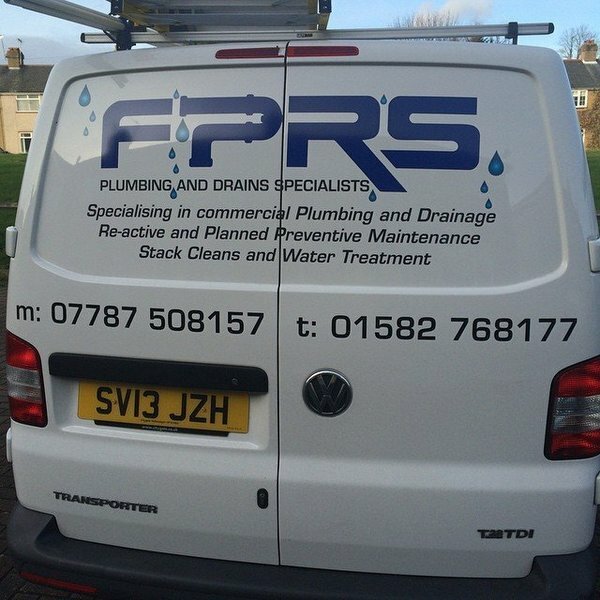 We are a professional plumbing and drainage company trading for over 15 years with over 100 years combined experience in all aspects of drainage, from small bore pipework to main local authority sewers. Also providing domestic and commercial plumbing plus installation and maintenance services. Peter came round, very friendly, and replaced my basin taps, house is old with poor layout, made worse by piping covered by kitchen units. However Peter managed to isolate the water, fixed a difficult fitting, which took longer than an hour but he didn't penalise me for it as layout was not easy. I asked him to come back and do some more work for me. Thank you for your review and I have passed onto Peter. I hope that you keep us in mind for any plumbing issues you may have in the future. I needed to have the drains inspected on a property I am buying. Michael from FPRS was very helpful on the phone beforehand and despite the faff of not being able to locate the manhole (wasn't where the vendor said and had actually been patio-ed over), he was able to inspect the drain. He was very quick and explained things as he went along, what's more he only charged me for one hour despite the pre-visit phonecall and being onsite for an hour and twenty minutes. Would certainly recommend them! Thank you for your feedback Mr Jackson. Please bear us in mind for any future drainage or plumbing works. Highly skilled and knowledgeable. Very quick cost effective and clean and tidy. Awesome quality work. Highly recommend to anyone. 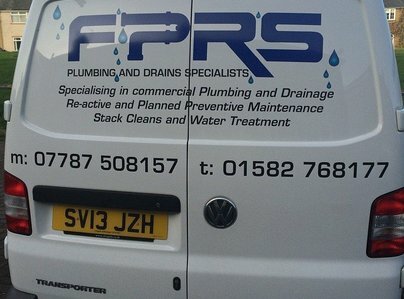 FPRS have carried out a number of jobs for me including tracing leaks, drainage surveys; boiler repairs. They have always been responsive and attended when they say they will attend. This firm has completed many jobs for us and all have been completed to a high standard. My company have used FPRS on a regular basis for the last couple of years. Pricing is always competitive, the service and aftercare received is always outstanding and I have no hesitation in recommending Charles and his team for both commercial and residential customers.